READING BOOT CAMP is a highly effective RTI reading program! Building on the fundamental belief "ALL STUDENTS ARE GIFTED", the goal is to lift ALL students' ACADEMIC READING SKILLS by using evidence-based "Socratic" methods, teaching all students as adroit learners, having fun, setting S.M.A.R.T. goals, and differentiating through scaffolding and cooperative learning. RBC has 15 years of AMAZING results; the accelerated RTI program improves reading growth by one-two years in just 20 days. remains that in our technological world, the demands on citizens have been raised. It is therefore our obligation to raise the bar on the quality of mathematics instruction for all our students as well as our expectations of their mathematical know-how. All of us are teachers of the young people who question us and learn from us, whether we are classroom teachers, home schooling parents, or adults who simply inspire the young. Children love numbers and constantly inquire about them. So let’s take the elementary math example of computation with whole numbers. Have you ever asked yourself what’s the main purpose of teaching computation—addition, subtraction, multiplication, and division—in a world where adults and children alike have iPhones, tablets, calculators, and other devices at their fingertips? Devices that compute more rapidly, more efficiently, and more correctly than we could ever do—aside from a few genius human calculators in the world, like Alexis Lemaire who can extract the 13th root of a random 100-digit number in about 14 seconds! The answer is not to know how to carry out the algorithm. Fifty years ago, the how-to was the main purpose. But today, if we just teach children how to add, how to subtract, or how to multiply, we will not be meeting our higher call. We would actually be failing our pedagogical mission, as the children would always lose out to calculators and computers, even cheap ones for that matter! Deep mathematical thinking or algebraic thinking is our higher purpose in teaching elementary school number and computation. But what does that mean? What does that look like in a math lesson? 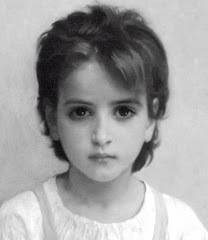 We don’t find much guidance in our math education history: For decades and even centuries, children have been taught whole number and fraction algorithms by rote without making sense of the successive stages. And since computation—first with whole numbers then with fractions—was the heart of elementary mathematics for most of our nation’s history, those children became today’s adults who believe, and perpetuate the belief, that mathematics is mostly about memorizing facts, learning procedures, and solving problems that have one right answer and one way to find it. And beyond that, generalize about generalizations! For example, when a child says, “If I add two odd numbers, I always get an even number because the two lonely ones find each other and then everyone has a partner,” this child is generalizing (i.e., noticing that the answer is always even) about a generalization (i.e. knowing that all even numbers have a “lonely one”). Abundant research confirms that young children, of all socioeconomic backgrounds, are capable of sophisticated mathematical thinking. We just need to nurture it, develop it, and enrich it. My literacy colleague, Mollie Cura and I are offering five new courses next week that shed a new light on literacy and mathematics. ( (http://www.newlightonliteracyandmath.com). Mollie models how to treat students like young writers, rich with ideas, imagination, and the desire to be creative. I model the same thing but in math: how to treat children like young mathematicians, full of mathematical ideas and creativity, and how to capitalize and build on that creativity. We both believe strongly that cultivating a sense of wonder and nurturing their natural desire for learning—until it becomes a lifelong passion—are two fundamental ingredients! See our course selection here: http://www.newlightonliteracyandmath.com/#!courses/comg). · What is math in the 21st century anyway? · How can we explore addition facts algebraically? · How do we connect the concept of area to the partial products algorithm to empower students to succeed with high school quadratic identities? · How do we help students learn harder multiplication math facts by building on simpler facts they know? · How do we cultivate more than the equal sharing division model starting in grade 3? Why is this so important to fractions, ratios, and proportional thinking? · How to we make generalizing a part of each math lesson? · How do we empower our students to thrive in math, and enjoy their lifelong math journey? Literacy for me was almost an unrealized unattainable dream! As a dyslexic learner I was unable to read, write, or decode words as a child, p,d,b and q were all the same letter. The written word was a collection of cuneiform squiggles that swam around on the page. I was identified dyslexic at age 9 and later dysgraphic. I spent the next 6 years in special education programs (limbō) trying to learn to read and write. The special education programs never acknowledged my creative capabilities, coping skills and shame and humiliation of being illiterate, they focused on "curing" my learning disabilities with under-trained teachers! Many classroom teachers assumed I would never read or write due to the severity of my dyslexia and this made me feel worthless. I eventually learned to read all words by sight the same method as learning Chinese. I am a dyslexic reading teacher that has built a reputation for finding innovative ways to teach reading and critical thinking to all students! ALL children are gifted and can learn to read! Sean Taylor M.Ed. My Gift of Dyslexia and ART! Artwork by Sean Taylor. My Portraits. and Pen and Ink Artwork helped pay for college! Art and Dyslexia was a gift that let me travel to 29 countries. Click on picture for more information. 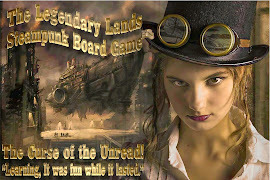 "The Legendary Lands" Grade 3-12 FREE Reading Comprehension Games! Exciting Reading Practice (ELA Reading Games) Free Teacher Made RTI Reading Comprehension Games! CCSS ELA Reading Help! Reading comprehension test prep games! We try to provide accurate information, free teaching materials, and links to great teaching resources. This Blog is inspired by the Finnish model of teachers sharing freely great ideas. If you are the source of any Wiki excerpts or authored un-annotated materials, or we have not given the original source for, or a back-link please email us. We will remove, annotate the original authors material and or give a back-link. Please email Reading Sage if you find dead links. Thank you for visiting Reading Sage. Reading Boot Camp: "The Daily Schedule"
95% Passing on EOG/EOC Reading Test in 20 Days! READING BOOT CAMP is a FREE researched based RTI intervention program that uses best instructional practices with a qualification, teach to the very TOP, expose every student to grade level and above ELA concepts, lift all students using Socratic learning strategies, teach and treat all students as GIFTED, be flexible and have fun, set rigorous SMART goals, and differentiate through scaffolding and cooperative learning. This is a philosophy that many disagree with and believe it is not pedagogically sound, usually by teachers that try to ability group and differentiate for 2-7 grade levels. RBC has 13 years of proven results, the RTI reading intervention improves reading test scores by one full grade level in 20 days. Reading Boot Camp is used in hundreds of classrooms and a handful of schools as a proven school-wide and classroom turnaround program. Little Angel Teaches us Grace! Thank you, Gracias, Merci, ありがとう, Danke sehr, Spasiba, 감사합니다! Please Come Again! The information posted is for educational purposes, authorship and source is cited when available.. Watermark theme. Powered by Blogger.